You have been running a huge WordPress blog consisting of hundreds of valuable content over on it, but you still not know that you can even monetize the way by which for accessing your content, visitors have to pay you money in the form of membership. Membership allows you to have membership sites, such as PSD Tuts, The New York Times etc where you will be able to grant limited access to visitors and reserve premium content for paying visitors. If your website does not offer a membership options then you are missing out a lot of potential revenues. A membership website is a site which let your make money in the form of either monthly or annual fee to get access to either some or full of your content. Isn’t it sounds like you are really missing something big in your website? In this article, I have made the collection of 9 such premium WordPress membership plugins which helps you to have a membership site for your own blog which in turn allow you to get potential paying visitors for your premium content. 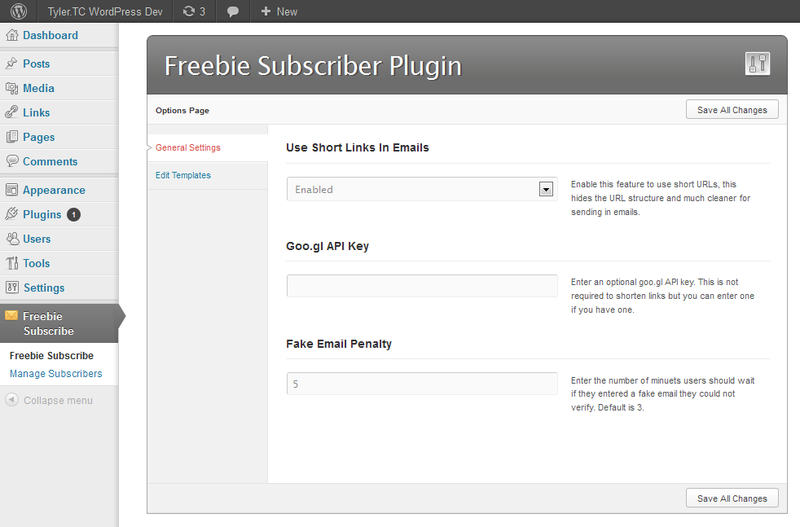 Awesome freebie download system automatically confirms emails and sends download links. Works with any download link! 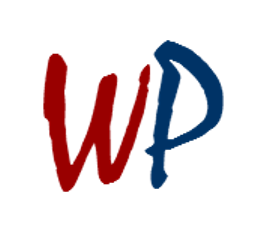 You can even just upload files via the WordPress uploader and use them! Inbuilt tinyMCE toolbar plugin gives you one click form creation right from your post / page editor. Inbuilt subscription manager keeps track of subscribers, verifies users, and can export your list to any popular mail sending service like MailChimp and Aweber. Comes with support with Goo.gl to shorten the verification emails / download tokens. 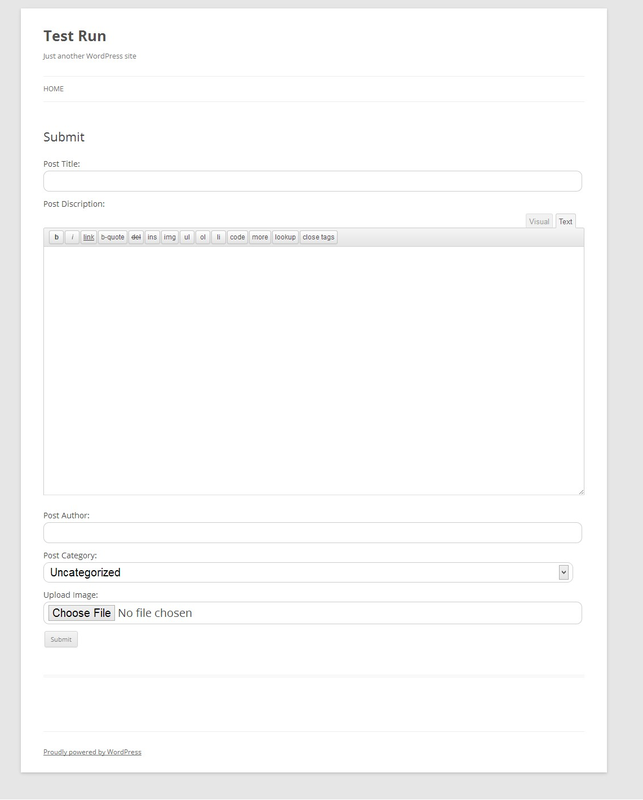 AJAX admin panel with Goo.gl API Support. 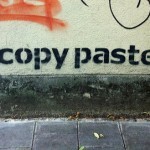 You don’t have to modify your template. Premium posts only seen by active members. A dashboard that shows your sales by month. 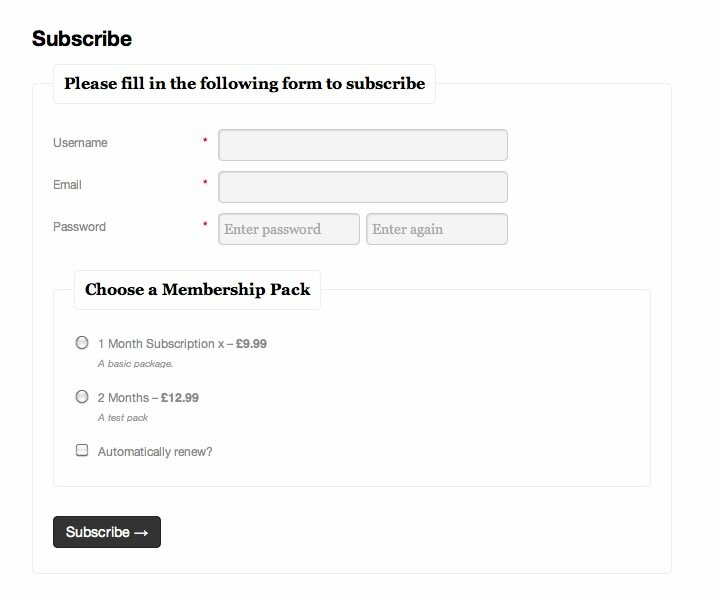 Filter your subscriptions by Month and Memberships. Very well documented with plenty of images. Flexible membership options and a drag-and-drop interface make it easy for you to customize your own membership site to your exact specifications. Choose the length of your membership and how often your subscriptions should renew. 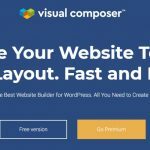 Customizable levels allow you to provide some or all of your members with access to any combination of downloads, categories, pages, posts, comments, online content, videos, forums, support or anything at all you can build with WordPress. Control access to any content or functionality via multiple different shortcodes. Because Membership works with BuddyPress, you can create your own paid social network by controlling access to BuddyPress groups and BuddyPress blogs. You can create your own exclusive paid club or course! Convert more visitors to paying members by offing a free trial of your membership and then turning it into a paid subscription after X days. Charge for access to your membership site with one of the current gateways – or add your own. Subscribers/contributors can pay for the post they submitted. User can pay just after post submission. 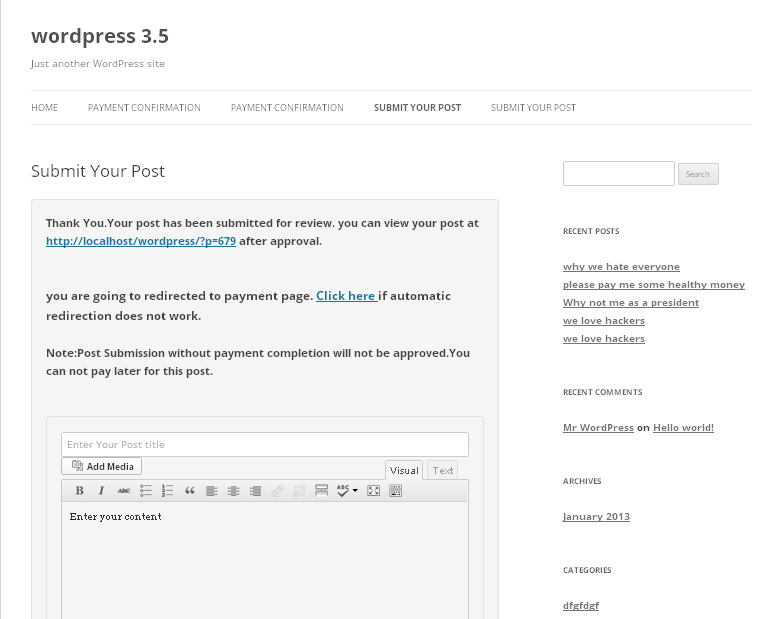 So with this plugin admin can sell blog space for guest posting. Quick and easy payment method that any user can follow. Subscribers/contributors will receive notification about their post approval/rejection/payment. 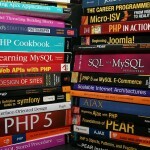 Plugin Allows site admin to receive paid/free guest articles/blog posts. It Smoothly manage everything from receiving posts from users to complete payment and order management. Admin can securely pay through PayPal. Admin can send extra message to author for approval/rejection from post editor. User can post without logging in. Admin can easily enable anonymous posting from options panel. Anonymous poster can receive notification on approval/rejection of their submitted posts. Using “Social Signup”, your blog’s users will be able to login and comment with social networks such as Twitter, Facebook, Google and Yahoo. user’s avatars will be fetched from their social networks profiles! 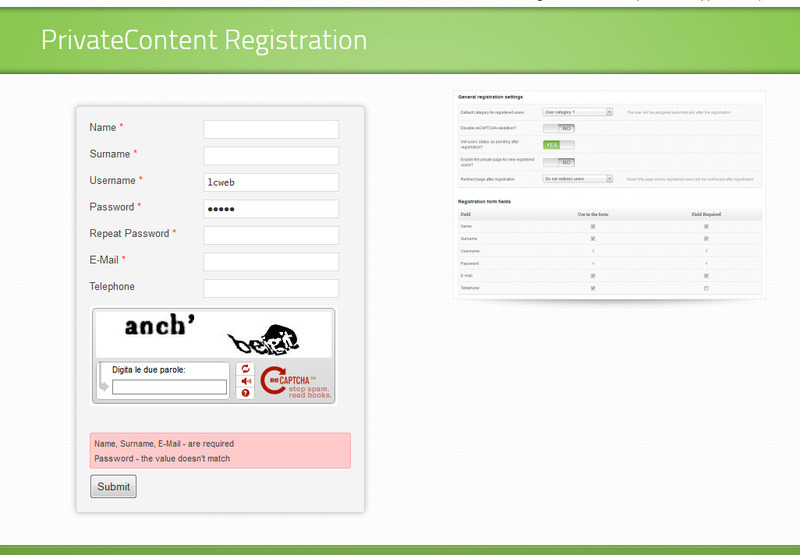 “Social Signup” also allow you to import users contact list from Google Gmail, Facebook, Windows Live and LinkedIn. “Social Signup” gives you absolute control over users access to your website and comes with a painfully long list of rules and restrictions for you to setup. Easy, Feature-Rich automatic setup so you can start social signup on your site today! Simple integration with the most-used plugins. Facebook , Google , Yahoo , Twitter , Windows Live , Myspace , Foursquare ,Linkedin ,Tumblr , Steam , Twitch.tv , Last.fm , Instagram , Goodreads , AOL , Vkontakte , Stackoverflow , Github , 500px , Skyrock , Mixi.jp , Mail.ru , Yandex and Odnoklassniki.